To say mobile phones have changed since they first appeared more than 20 years ago would, of course, be an extreme understatement. We wonder if the first producers could have envisaged landmarks like Panasonic's 100 million phone shipments announced this week though. March saw the company move its 100 millionth phone to the networks in its native Japan, with the milestone being notched up by a P905i that went to NTT DoCoMo. The high-end 3G handset is the latest evolution of a line that started in 1979 with the analogue TZ-801 phone, designed exclusively for use in cars. It was another six years before a portable follow-up, the TZ-802A, arrived with a shoulder strap for lugging the 7kg of electronics and battery around. Fast-forward to 1987 and Panasonic bestowed the first recognisable mobile phone – the TZ-802B – on the Japanese market, a move that helped spark the boom in mobile ownership. Come 2001, Panasonic was responsible for handsets on the world's first 3G network, the FOMA-branded service from NTT DoCoMo. In terms of milestones, the first 10 million phone sales took Panasonic 18 years from 1979 to 1997, but the leap in popularity from then on saw the next 90 million phones sell in just 11 more years. 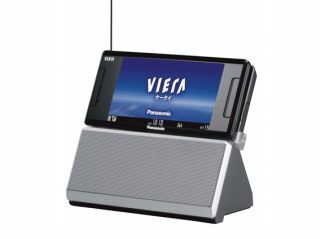 As for the future, the current trend to cram more and more into phones just to persuade existing customers in a saturated market to upgrade, has resulted in everything from electronic cash to digital TV receivers in Japanese phones – something the West is sure to see soon, like it or not.